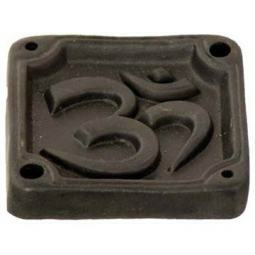 These Om Incense Burners are made from wood and have been hand painted in bright colors. 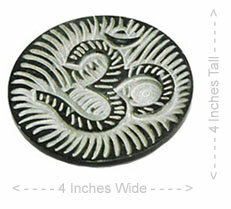 They feature an image of the Om sign, which is the symbol for Universal Energy and Creation. These wood Om Burners measure 10 Inches long and are suitable for Indian and Japanese style incense sticks (although the hole is too small for larger size Tibetan style incense, such as Green Tara, Original Tara or Pancha Buddha incense). 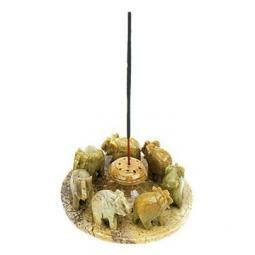 These incense burners have a slight groove in the middle to better help catch falling ashes from the burning incense. 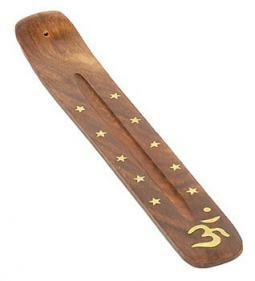 Because these incense burners are so affordable, you might want to get several of them and keep one in every room that you might burn incense.